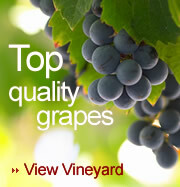 US Elite is "THE TRUSTED SOURCE" for compliant winemaking products that exceed industry standards. Many people are either unaware or may get confused by the many and sometimes, ambiguous, federal regulations that apply to Varietal (Grape Type) Labeling. U.S. Elite specializes in this specific field like no other concentrate or wine kit manufacturer. This is our niche market and we are dedicated to helping you sift through the regulatory mess and help you avoid very costly compliance mishaps that may very well result in fines being imposed. Simply put, in the U.S. the regulations require at least 75% single varietal content before the wine may be labeled with a varietal name and then, there are additional requirements as to fruit origin. More than this, specific rules apply to vintage dating, as well as, source documentation and certificate of analysis requirements proving varietal claims. Always remember, just because you have a certificate of label approval, this is not a federal stamp of approval that you have met all of the labeling requirements. It is not usually until later that you are told that your COLA's are in jeopardy because of a lack of documentation or that your use of an inferior concentrate product has caused your wine to be deemed as "Substandard." Sometimes things get even more complex, especially when dealing with "Exemptions from Label Approval and Formula & Processes approval, where mistakes are often easily made causing regulatory action and costly delays in approvals. U.S. Elite Winery Supplies offers only 100%, documented, winery grade grape juice concentrates and provides origin and specific chemical data required by these regulations. We and our products have been fully vetted time after time, assisting our customers with periodic industry compliance checks and audits and also through compliance checks via our own bonded premises. We enjoy good relations and fast access to regulatory and top policy makers at the federal level in order to ensure that our products always meet or exceed industry standards.